The Lutheran World Federation (LWF) is offering a live-stream of commemoration worship services from around the world beginning at 11:00 CET and lasting throughout the day. Viewers are invited to worship with churches and communities in ten countries on six continents. Times indicated are orientative and in Central European Time (Central Universal Time +1 hour). 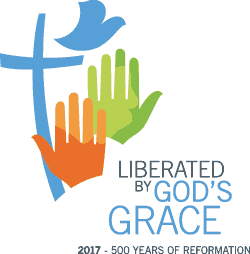 Viewers are invited to add their voice to the global conversation by using the hashtag #ReformationDayLive. For the LWF, Reformation Day 2017 marks a high point of commemorating the 500th anniversary that has taken place over a number of years and included the Workshop Wittenberg youth conference, the Global Perspectives on the Reformation conference, the Joint Catholic-Lutheran Commemoration of the Reformation, the Twelfth Assembly of the LWF and a number of other activities.